DXing with Cumbre programs 704 and 705 are now available as mp3 downloads. This entry was posted in DXing with Cumbre and tagged DXing with Cumbre on September 30, 2011 by Thomas. UNESCO’s Executive Board approved item 13 of its provisional agenda “Proclamation of a World Radio Day” to be celebrated each February 13th. Requests the Director-General, subject to the final resolution of the General Conference, to bring this resolution to the attention of the Secretary-General of the United Nations so that World Radio Day may be endorsed by the General Assembly. 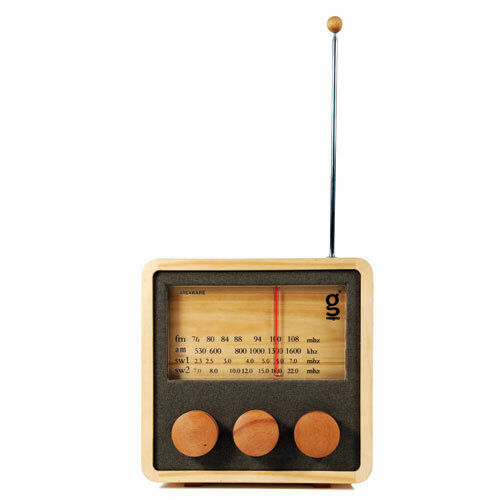 Read UNESCO’s full World Radio Day proclamation here (PDF). This entry was posted in Current Events, News and tagged UN, UNESCO, United Nations, United Nations Radio, World Radio Day, World Radio Day February 13 on September 30, 2011 by Thomas. From a lonely rusted tower in a forest north of Moscow, a mysterious shortwave radio station transmitted day and night. For at least the decade leading up to 1992, it broadcast almost nothing but beeps; after that, it switched to buzzes, generally between 21 and 34 per minute, each lasting roughly a second—a nasally foghorn blaring through a crackly ether. The signal was said to emanate from the grounds of a voyenni gorodok (mini military city) near the village of Povarovo, and very rarely, perhaps once every few weeks, the monotony was broken by a male voice reciting brief sequences of numbers and words, often strings of Russian names: “Anna, Nikolai, Ivan, Tatyana, Roman.” But the balance of the airtime was filled by a steady, almost maddening, series of inexplicable tones. […][A]feed of UVB-76 had been made available online (http://www.wired.com/magazine/2011/09/ff_uvb76/), cobbled together by an Estonian tech entrepreneur named Andrus Aaslaid, who has been enthralled by shortwave radio since the first grade. “Shortwave was an early form of the Internet,” says Aaslaid, who goes by the nickname Laid. “You dial in, and you never know what you’re going to listen to.” During one 24-hour period at the height of the Buzzer’s freak-out in August 2010, more than 41,000 people listened to Aaslaid’s feed; within months, tens of thousands, and then hundreds of thousands, were visiting from the US, Russia, Britain, the Czech Republic, Brazil, Japan, Croatia, and elsewhere. By opening up UVB-76 to an online audience, Aaslaid had managed to take shortwave radio—one of the most niche hobbies imaginable—and rejuvenate it for the 21st century. Today, the Buzzer’s fan base includes Kremlinologists, anarchists, hackers, installation artists, people who believe in extraterrestrials, a former Lithuanian minister of communications, and someone in Virginia who goes by the moniker Room641A, a reference to the alleged nerve center of a National Security Agency intercept facility at an AT&T office in San Francisco. (“I am interested in ‘listening,’” Room641A tells me by email. “All forms of it.”) All of them are mesmerized by this bewildering signal—now mostly buzzing, once again. They can’t help but ponder the significance of it, wondering about the purpose behind the pattern. No one knows for sure, which is both the worst and the best part of it. Read the full 3 page article at Wired.com. New to numbers stations? Check out our previous posts on the subject. Also, check out UVB-76.net and listen to its live feed. This entry was posted in Numbers Stations and tagged Estonia, Numbers Stations, The Buzzer, UVB-76, UVB-76.net, Wired on September 28, 2011 by Thomas. “Deciphered your lines from the shortwave,” Jace Lasek sings on “Like the Ocean, Like the Innocent,” the opening track off the Canadian crew’s latest album, “The Besnard Lakes are the Roaring Night” (Jagjaguwar). […]Even as a child, Lasek enjoyed escaping into the shadowy underbelly of Cold War-era spy stories, huddling on the front porch of his parent’s home with a shortwave radio to listen to the mysterious, coded words being beamed in from all around the globe. Read the full article and interview at Madison.com. This entry was posted in Art, Articles, Music, Numbers Stations and tagged Besnard Lakes, Besnard Lakes Numbers Station, Music, Shortwave Art, Shortwave Music, Shortwave Radio, The Besnard Lakes Radio on September 26, 2011 by Thomas.